I picked up a cantilever Sys tool box and am fairly happy with it. My aim now is to fill it with tools that will enable me to do 90% of tasks around the house and not have spend time having to crawl through all my "money making" tools on during my down time. I want to be able to tackle as many tasks as possible by just picking up this one box and CXS so space saving multi purpose tools are the order of the day,to cram as much capability into the box as possible. Picked up one of these to start me off. Any out of the ordinary smart/cool space saving tools anyone can recommend? Re: Cool space saving tools? I picked up a small (150mm) Bahco combination square the other day. Very handy, and the first one I reach for now. 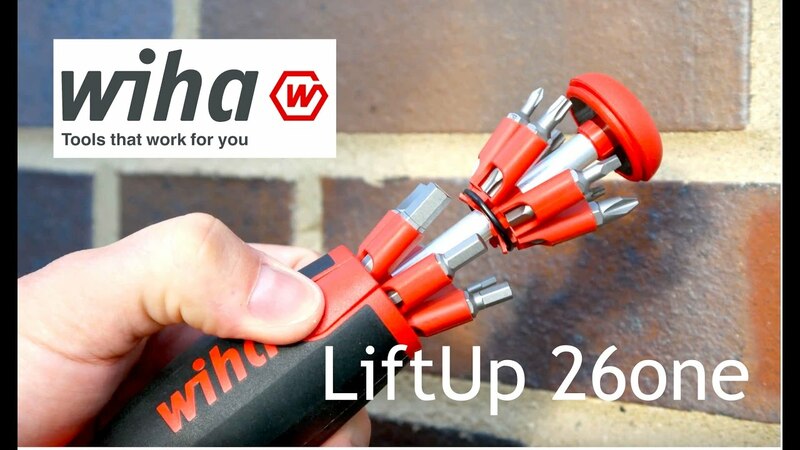 This Wiha Liftup 26One is even more economical. It has 12 special double sided bits. Which unfortunately do not fit a regular bitholder. 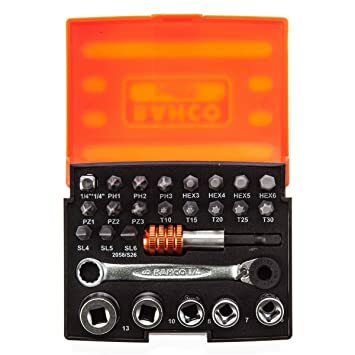 And also one of the smallest ratchets from Bahco which is a real space saver. And one of the smallest Stubby Ratchet Screwdrivers, also from Bahco. Since everyone is talking about screwdrivers, this is the one to have. Klein. Have one in the kitchen and each tool belt. Use it once a week even if I don't do any real woodworking. Home Depot sells it. Fits nicely in the bottom and works well for big and small cuts. Silky has many other foldable small handsaws that would fit the bill. But the approach I took was to get the largest and most capable saw that would fit inside in the box. Also this Wera Kraftform Kompakt 27 RA ratcheting screwdriver for sull size needs. I do wish it held more bits. But after using a nice ratcheting screw driver I can never go back. So I just carry more bits in the box. Really like this swiss made Wiha 61606 folding rule with metric and imperial except that the numbers are beginning to wear in places. But it is inexpensive so I wont mind replacing it if it become bothersome. I carry one of the needle point oilers filled with with 3 in 1 oil. Much less inclined to leak than a can or bottle of 3 in 1 and much more compact and versitile. Knipex Pliers Wrench come in many diferent sizes to fit whatever your idea of space saving is. If you are not carrying a wrench or socket set then this is a much more versitile alternative to a crescent wrench. The Kreg KMA2900 is kind of "el cheapo". But I think it is perfectly servicable for handyman type work and very versitle. I see it as a compact alternative to a combination square. I like the Leatherman Wave multitool. I use the pliers and the scissors a lot, as well as the serrated knife. I like that the knives can be flicked open and locked with one hand. For 3/4" ( or other size) chisel, check out the FastCap folding (pocket) chisels. Single tool but very compact and "self protecting" so it can be put i the box any where with out worrying about the edge. Stanley do a 1" folding chisel thats quite good. Bought one for my wife who is a plumber and it was that handy she never got it. Ended up buying her another. Its not as nice as my fancier chisels but its handy to carry about and does the job. We use this gauge for everything. Router seyup, table saw, reveals on casings and trims, it sits right in the front of the pouch. It a is a truly multipurpose tool. and you most likely don't need other/more pliers. Most used Torx in one handle - hole does not weaken structure of the tip, so it's better to have and not need, than need and not have. Most used Hex in one handle, ball end is always great for confined spaces - otherwise it's not interfering with regular use. "Magic ring" secures screw to the tip.